Enjoy a potpourri of entertainment of diverse genres, enriched by a variety of cultures. Lights, movements, colours, rhythm…they fuse in all forms to tantalize your senses! 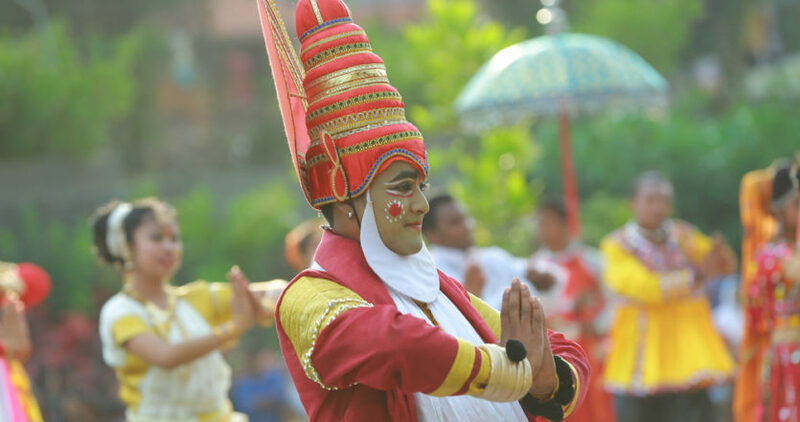 Opening Ceremony in the Entrance Plaza: 10:00 a.m.
Acrobatic Show in Amphi Theatre: 10:30 a.m., 11:45 am., 2:00 p.m., & 4:30 p.m.
Nazrana Show in Theatre-1: 11:00 a.m. & 3:00 p.m.
UV Light Show in Theatre-2: 11:45 a.m. & 3:45 p.m. Closing Ceremony in Amphi Theatre: 5:30 p.m.